Search all of the Town & Country real estate listings below! Set amongst lush woodlands and manicured communities, Town and Country offers the perfect escape from the rush of the city, with all the benefits of rural living without compromising on convenience. Between it’s large, luxury homes and its peaceful allure, homes in Town & Country are largely sought-after by those with higher incomes, making it one of the most prestigious communities in the St. Louis area. Town and Country homes for sale are some of the most exclusive and amenity-rich properties in the St. Louis area. Because each of these homes are one-of-a-kind, there’s a pleasant mix of styles from one property to the next, including Craftsman, Colonial, Georgian Colonial, Mediterranean, Neoclassical, and so much more. These immense square-footage of these top-of-the-line homes will often include beautiful marble and hardwood floors, recessed ceilings, arched hallways, stone countertops, deluxe walk-in closets, and several bed and bathrooms. Most of these generous properties are situated on large lots which are perfectly accommodating to backyard pools, personal tennis courts, and massive garages. It’s easy to find the upgraded home you’ve been dreaming of or a refined estate with everything you could want as a discerning buyer. Residents are also close to several exclusive schools, health care centers, and country clubs. When it comes to luxury living, you don’t have to look further than Town and Country. Small population that’s unlikely to be affected by new development. Exclusive and upscale neighborhoods, some of which are gated. Amenity-rich homes with easy access to shopping, dining, and recreation. Close to several top-rated public and private schools for a quality education. It’s no question that owners of Town and Country homes have a flair for the finer things in life. These residents have easy access to the Bellerive Country Club, a private club that once hosted the US Open and PGA Championship. Primarily a residential community, Town and Country includes only a handful of shopping centers that can be found mostly along the community’s edge. That said, you can find the perfect fashion accessory for your pet and pickup your morning latte at Mason Woods Village Shopping Center. Town and Country is also home to Edgar M. Queeny County Park, where you’ll find the American Kennel Club Museum of the Dog and miles of walking paths to enjoy the great outdoors. Queeny also includes a indoor ice rink, playground, tennis courts, fishing ponds. Want to learn more about Town and Country homes for sale? Get in touch with the experts at The Wallner Team today! Send them a message or give them a call at 314.810.7653. 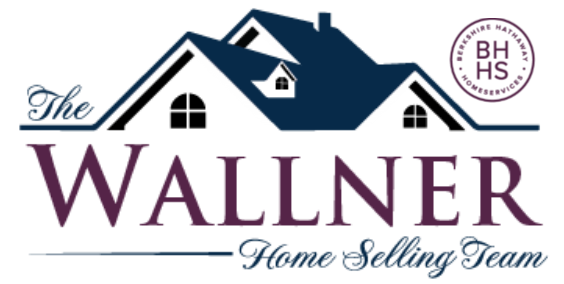 Whether you’re buying or selling, The Wallner Team can help you navigate the Town and Country real estate market.